BATON ROUGE, La. 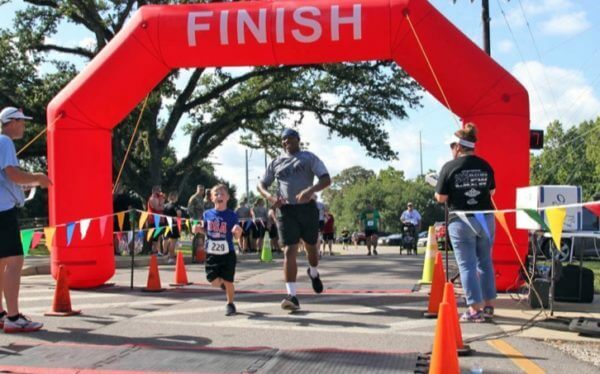 – The Louisiana Department of Veterans Affairs (LDVA) Military Family Assistance (MFA) Fund, which relies solely on donations, helps Louisiana veterans facing a myriad of financial hardships. In order to receive funds through MFA, a completed application must be submitted to LDVA, including all required supporting documentation. MFA can pay up to $10,000.00 for one claim per active-duty order in a twelve-month period. In 2016, the MFA Fund processed over $350,000.00 in donations that were then distributed to veterans directly impacted by the catastrophic flooding. After losing 70% of what his family once owned, a retired Soldier was able to use the $350.00 emergency assistance the MFA provided to purchase much-needed groceries for his family. 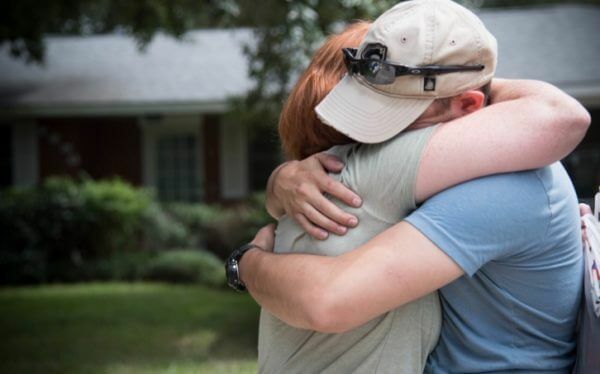 Last year, the MFA fund was able to cover the $63,564.30 cost to help bring 441 Louisiana National Guardsmen home to visit their loved ones prior to their deployments. The fund was also able to award $51,963.70 that helped Louisiana veterans and their families cover housing costs, utility bills, car repairs, adaptive equipment, and much more. Vietnam veteran Ivan Gaines was one such MFA Fund award recipient whose life was changed because of the award. The double-amputee needed adaptive equipment installed in his vehicle in order for him to drive his truck. After completing the application and documentation process needed, the MFA Fund was able to cover the $1,576.00 cost. “I know this for sure, if you’re serious about getting things done, go and talk to the LDVA. Take the good Lord with you when you do because the people at the LDVA will listen and make good on their promise to help us veterans,” he says. The Military Family Assistance Fund is a state treasury fund funded solely by donations. Those donations go either directly to fund Louisiana National Guard bus trips home for soldiers and airmen to see their families right before deploying overseas, or directly to help veterans or their families facing financial hardships right here at home. There are three ways that you can donate to the MFA Fund: 1) using your state tax return, 2) making a secure online donation, or 3) mailing a check to LDVA’s headquarters. By making any type of donation, you will allow us to continue providing financial assistance to Louisiana veterans and their families. Simply enter the dollar amount of your refund you want to donate on LINE 2 OF SCHEDULE D of Louisiana’s individual income tax return (Form IT-540 for residents, Form IT-540B for non-residents). Simply enter the dollar amount of the donation payment you’re including along with your return on LINE 41 on Form IT-540. Simply enter the dollar amount of the business’ refund that you want to donate on LINE 28 of 2018-19 Form CIFT-620. Or if the business owes tax, simply enter the dollar amount of the donation payment you’re including with your return on LINE 25 of the 2018-19 CIFT-620. Secure online donations are accepted at: MFA Online Donation Link. 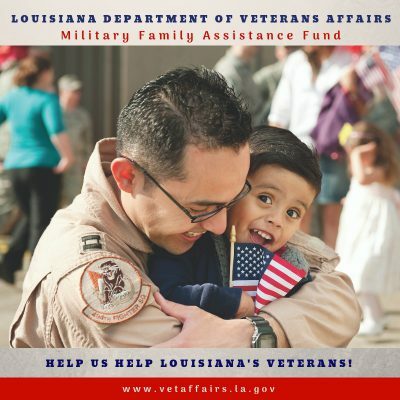 Please consider donating to the Military Family Assistance Fund to help us serve Louisiana’s veterans in their times of need.